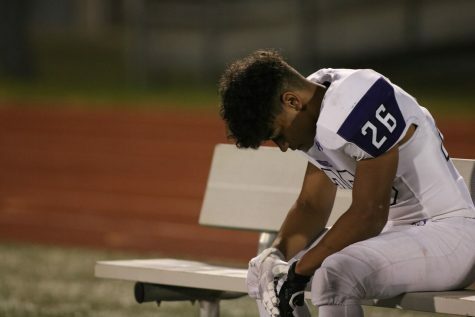 After falling to Blue Valley during the 2018 BVNW Homecoming game on Friday Sept. 28 at the DAC, the varsity football team dropped to 0-5 on the season with the offense totaling 128 yards for the game. 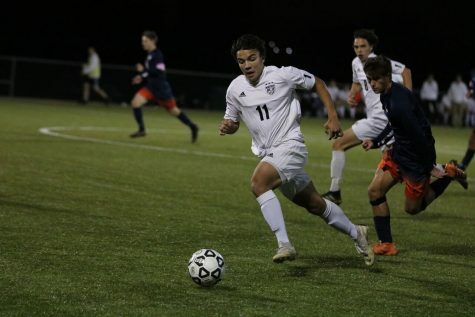 Senior Sam Sliefert runs the ball in the game against Blue Valley on Sept. 28 at the DAC. With the loss the Huskies fell 0-5 on the season. 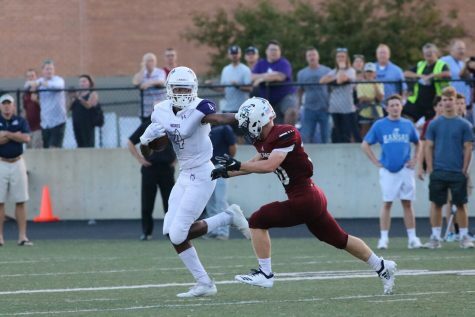 After multiple stops for both teams on the defensive side of the ball to begin the game, Blue Valley started the scoring with a touchdown in the first quarter. 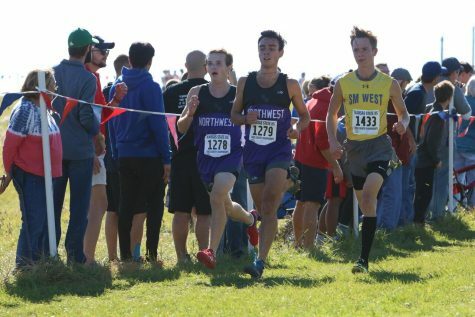 With many unsuccessful offensive drives, Blue Valley Northwest was not able to respond until freshman quarterback Mikey Pauley threw a touchdown pass to junior receiver Jake Dolesh with 8:54 left in the fourth quarter. The Huskies managed to hold the Tigers to seven points in the first quarter, with senior Jack Hungerford recovering two fumbles. Unfortunately the offense was unable to take advantage off of these turnovers according to head coach Clint Rider. One reason for the lack of execution was the inability to establish the passing and running game. Senior quarterback Sam Sliefert went 4-23 with 23 yards and two interceptions. According to Rider, a large part of the passing errors were due to the inability to get the ground game going, as junior running back Edward Thomas and sophomore running back Avion Tucker combined for 33 yards across 14 attempts. According to Sliefert, another reason for the lack of execution was the amount of flags the Huskies received. At the end of the first half the Tigers lead the Huskies, 28-0. Both teams failed to capitalize on the others mistakes, until Blue Valley scored with 10:08 remaining in the third quarter. 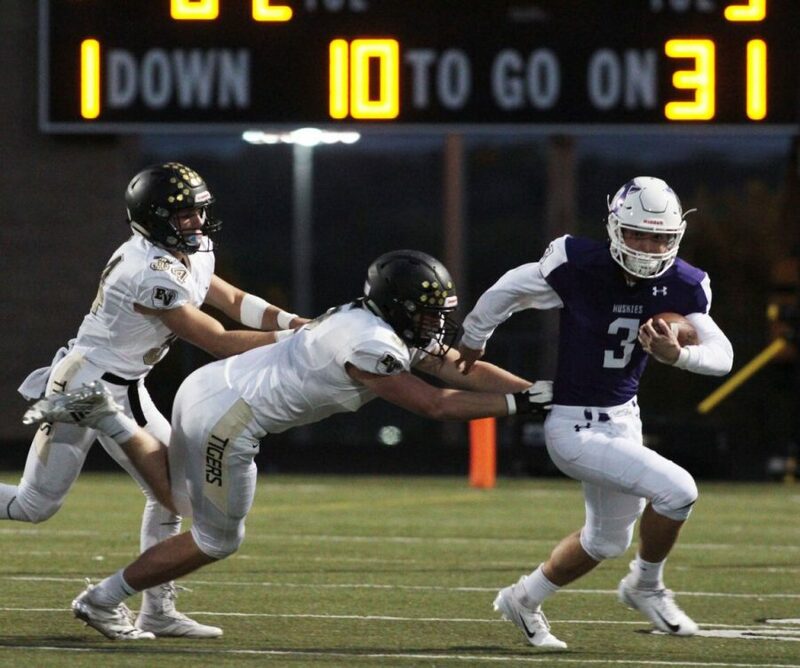 The Tigers added to their score just five minutes later with another touchdown, while the Huskies couldn’t respond for the rest of the third quarter. When asked about what to work on in next week’s practice Rider said the Huskies need to get back to the basics. It wasn’t until freshman Mikey Pauley came in for Sliefert that the Huskies had a successful drive. With 8:54 remaining in the fourth quarter, Pauley put the Huskies on the board, with a touchdown pass to Dolesh. However, the Tigers came back with three minutes remaining to score a touchdown and put the Blue Valley up 49-7. The Huskies responded quickly with a last second passing touchdown from senior quarterback Jack Weyforth. The Huskies failed to convert the extra point due to the end of the game. With the loss to Blue Valley, the varsity football team will take on Blue Valley West at 8:00 p.m. on Friday Oct. 5 at the DAC.